Oka followed that with some crispy smoked sweetbreads, served over a mound of creamy potato purée infused with the vibrant yellow hue and the fragrant, almost fruity heat of aji amarillo chiles. 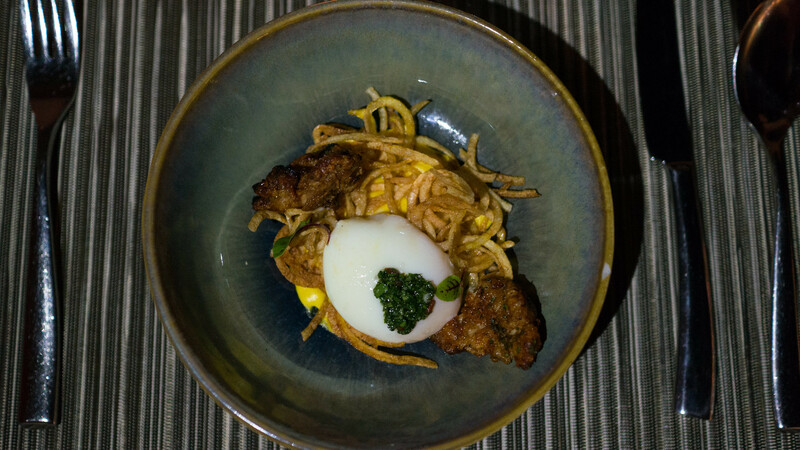 A soft egg, some crispy julienned potatoes, and a dab of herbaceous, bright green chimichurri completed the dish. 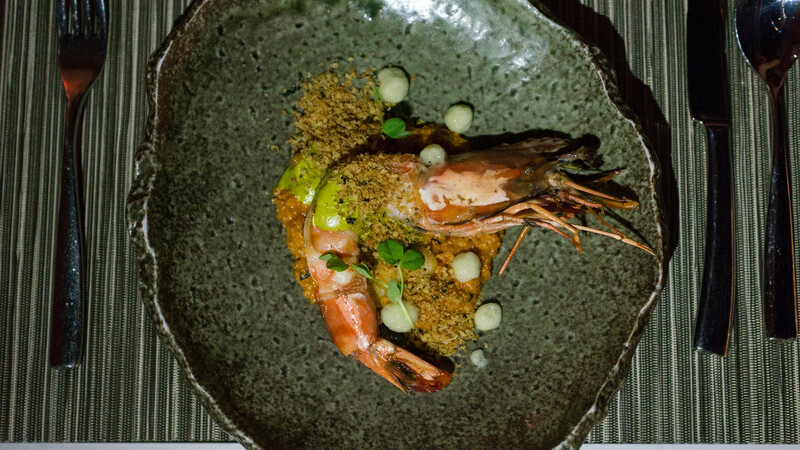 The next course was one of my favorites of the evening – a gigantic Nigerian prawn, served over quinoa "achupado," and a chunky lobster chupe, then topped with an ocopa sauce brightened with the Peruvian herb, huacatay, and dots of fava bean foam. 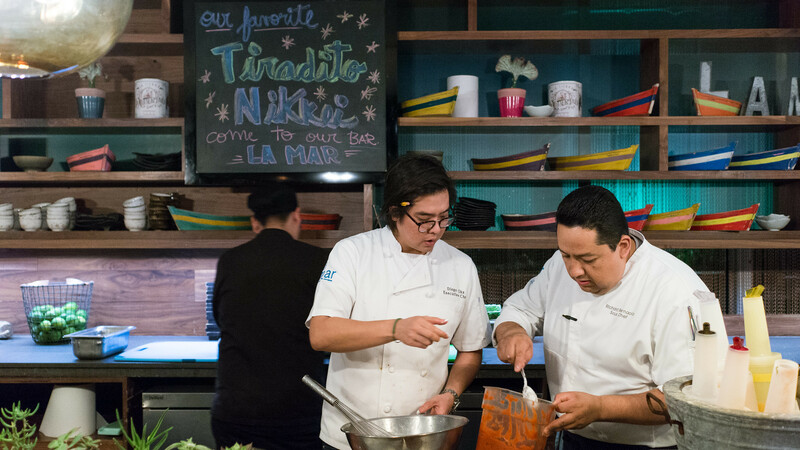 Oka called his next dish "lobster a la piedra." 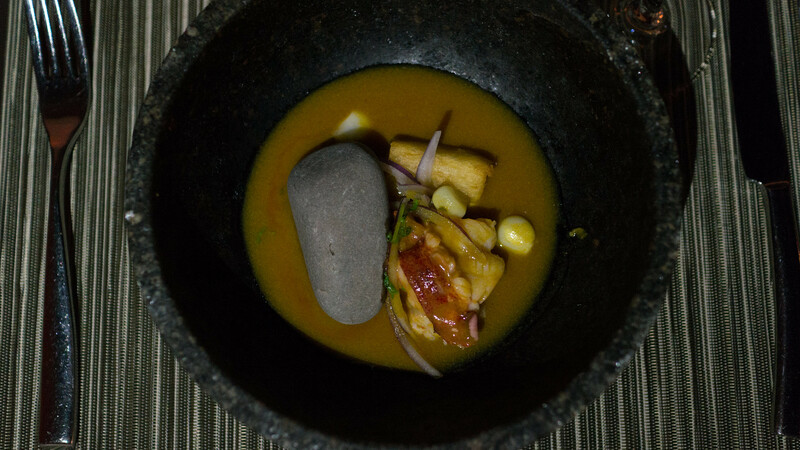 A tranche of lobster in a stone bowl, together with a baton of crispy yuca, choclo, onions and – a big hot stone (to keep the dish warm) – was doused tableside with a warm leche de tigre broth for a hot take on ceviche. 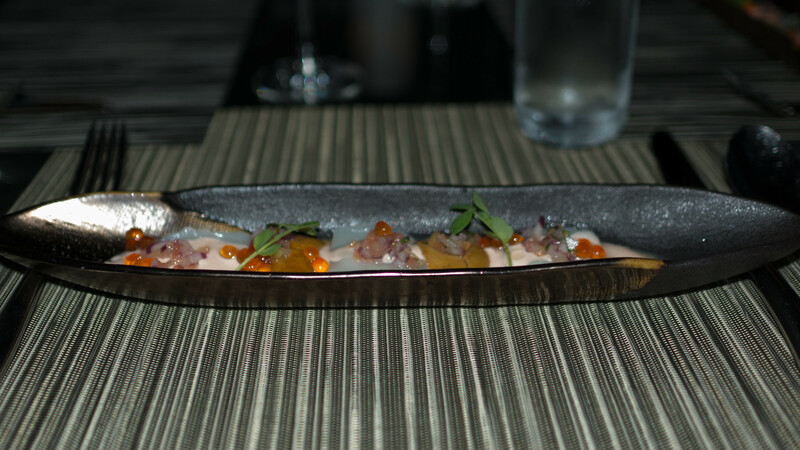 I would have never expected to like a hot ceviche, but I really enjoyed the lash of acidity this brought. 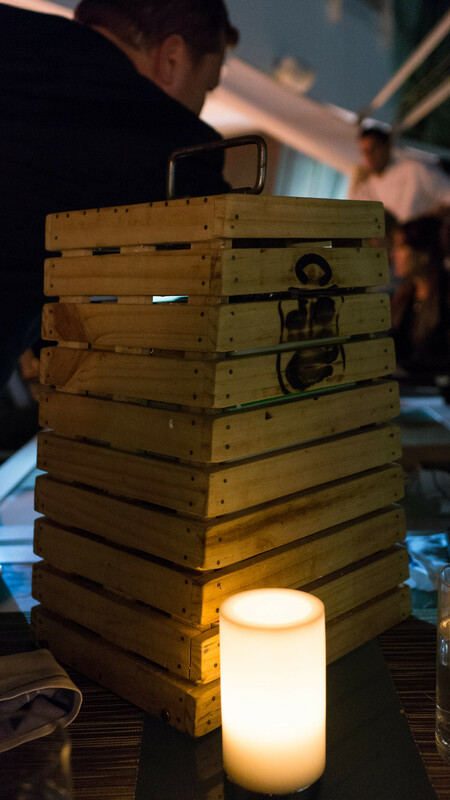 As a savory finale, the servers brought out massive butcher boards bearing gigantic, eight pound whole fried fish. 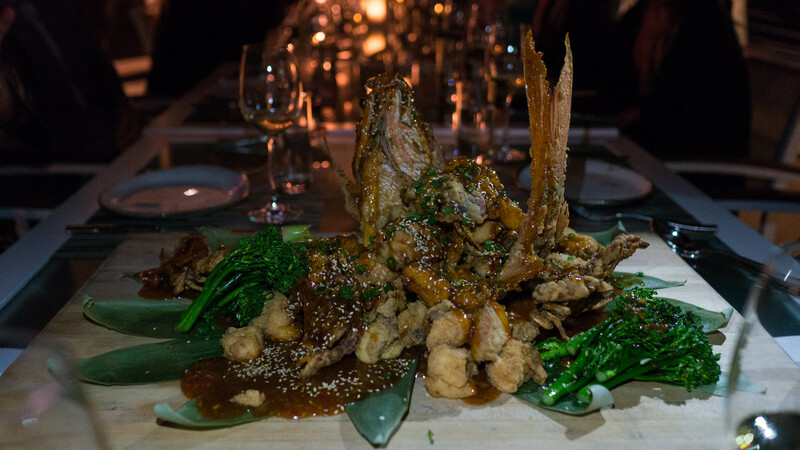 Interspersed with the nuggets of fried fish were whole soft shell crabs, all doused in a sweet-sour-spicy Peruvian / Japanese sauce. 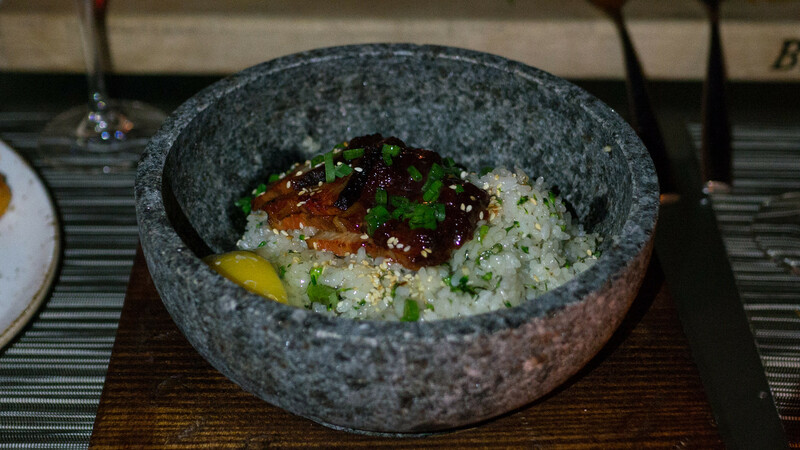 Alongside, Oka served a fried rice topped with char siu style barbecue pork belly with a raw egg stirred in tableside, all in a hot stone bowl in the fashion of a Korean bimbimbap. 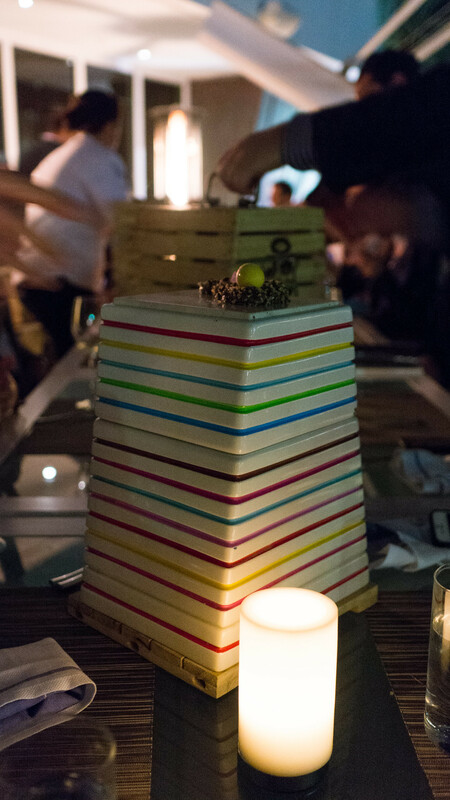 Dessert brought some drama as well, as the servers brought out pyramid-shaped boxes that looked like beehives. 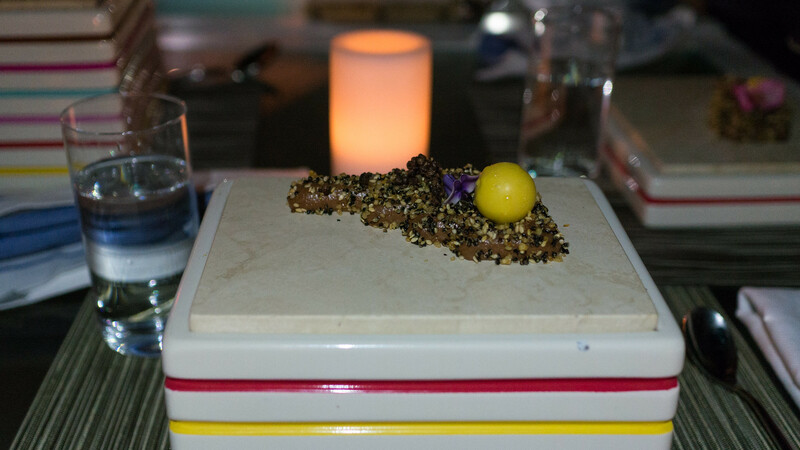 These were opened to unveil a series of stacked platters, each of which was topped with a creamy Peruvian chocolate mousse speckled with crispy quinoa and sesame seeds, and crowned with a lucuma bombe. I loved the contrast of textures here. None of these dishes were particularly traditional, and yet they all still felt distinctly Peruvian. 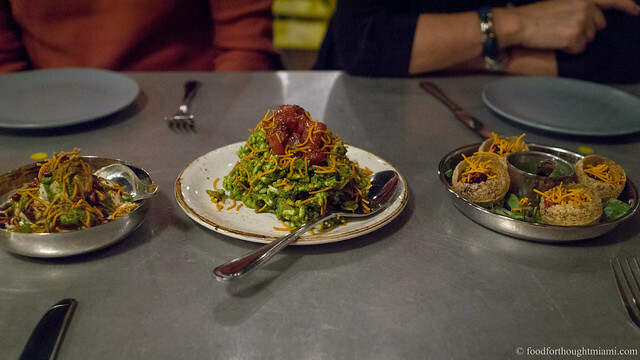 Diego's menu really highlighted a lot of what I enjoy about the cuisine: the interesting ingredients, the freshness of the flavors, the undercurrent of spice and acidity that anchors most dishes. 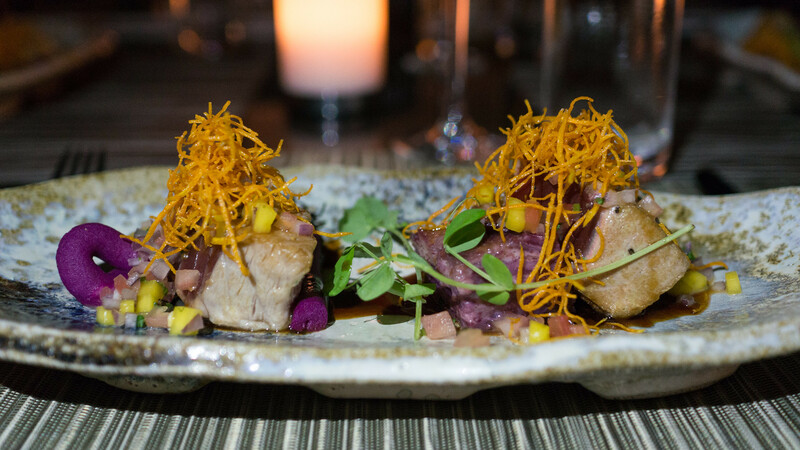 A big thank you to chef Diego Oka, as well as to all of the team at La Mar, for putting this dinner together and making it happen. And as always most of all, thank you to the guinea pigs whose interest and support make these kind of events possible. Thanks to the small group of guinea pigs for their patience in what turned out to be a long night. I think it was well after 11pm when we wrapped up. 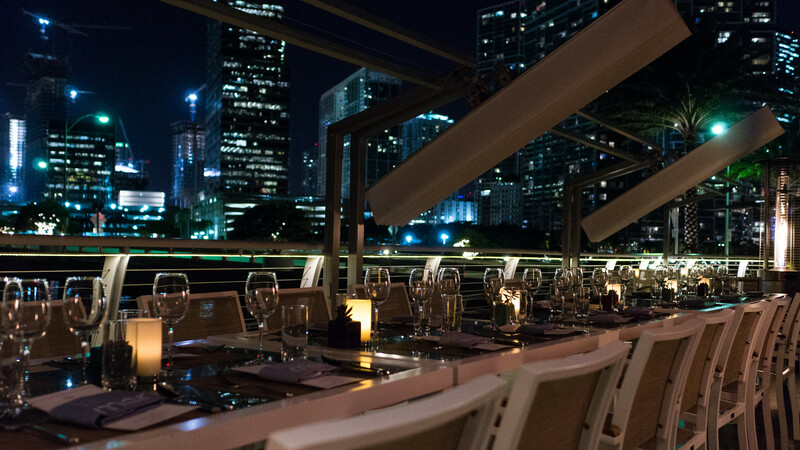 While I really enjoyed the food, and the night was perfect for outdoor dining, there were some lengthy gaps between courses and serving temperatures on some courses were not ideal. There were a lot of other diners on La Mar's patio that night and I suspect the crew may have been really pushing to keep up. I'm still trying to figure this one out. The literal translation Google gives me of "chupado" is "sucked". Dried? Peruvian "black mint," which is actually in the marigold family.